Perhaps many do not know the island of Selayar as one of the island with the natural beauty of the sea. The island is also a district in South Sulawesi Province which is an archipelago on the southern island of Sulawesi. The capital of Benteng, Selayar Islands is now beginning to attract tourists as a new alternative marine tourism destination in Eastern Indonesia. Selayar Islands which is the only Kabupetan whose whole area is separated from the mainland of sulawesi, so it takes extra effort to achieve it, the most common way of course is by sailing through Selayar Selat. Selayar Island is the main island and became the largest island of Selayar Islands. 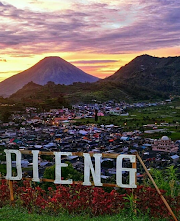 On the island is also the capital district is located so that the main economic activities running including the main port that connects the island of Sulawesi and Selayar Islands. Actually there are flights from Makassar to Selayar Island, but flights are only available 3 times a week. For that, more people choose to travel overland and sea, although it will take a lot of time. However, traveling through the southern hills of Sulawesi and sailing over the ocean will be more intense. From Makassar City, travel to Selayar can use travel car with cost around Rp 150 thousands and travel time 7-9 hour. 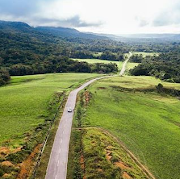 The journey begins with the main road along the south axis of South Sulawesi is through Gowa, Takalar, Jeneponto, Bantaeng, and ends in Bulukumba precisely Bira area. The journey of about 5 hours will not be so boring because the natural scenery and the ocean on the south side will accompany. In the area of Bira, the journey is then continued by sailing. Via Port Bira, ferry boats are available every 2 times a day around 9 am and 4 pm, so estimate your time well so that no time is free. Even if warned away from the scheduled departure, enjoy the scenery around Bira is possible. As a small port, Bira is interesting to diekplore. The activity of the boat is not so busy but still alive this This port is quite enjoyable to be enjoyed while relaxing. Cruise to Selayar Island by ferry will take about 2 hours. The ferry itself is quite large and can accommodate cars and trucks as it does ferries between large islands. Enjoying 2 hours of oscillation in the ocean of sail will not be so boring because you can enjoy it while you see the vastness of the clear ocean. If not, relaxing on the deck of the boat is very possible, including rent a VIP room for 10 thousand rupiah. After 2 hours of cruise, arrived at Selayar Island precisely at the Port of Pematata on the North East side of Selayar Island. Nautical atmosphere of course has been felt here. You can mengekplorenya first before heading to the destination. If you want to go directly to the capital city of Benteng, the journey will be taken for 1 hour again. Have you heard of Takabonerate National Park? Perhaps many of us are still unfamiliar with the name, but that's where one of Indonesia's nautical treasure. 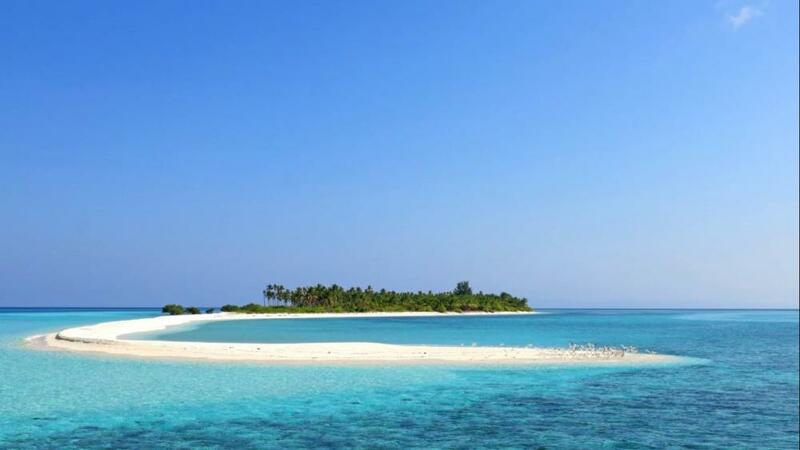 Takabonerate is part of the Selayar Islands, precisely on the southeast side of Selayar Island. 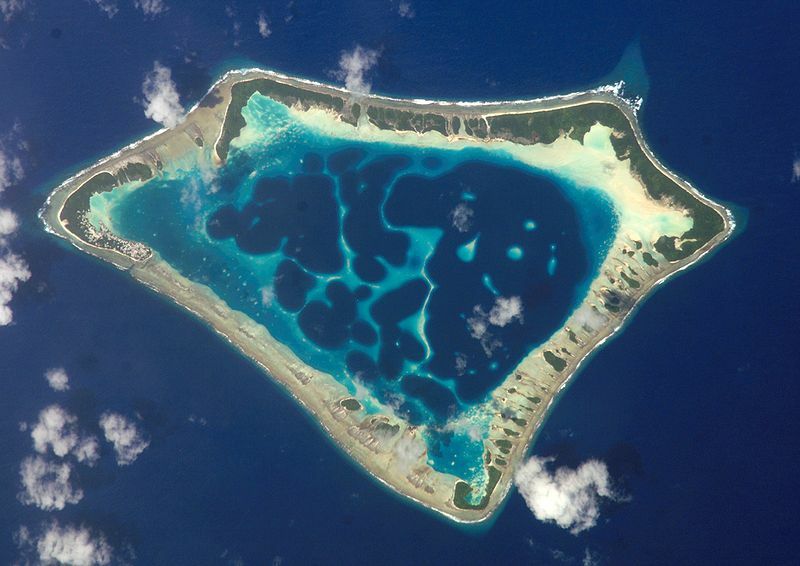 The uniqueness of the treasures of Takabonerate is that the area became the third largest Atoll Marine Park in the world after the Marshall Islands and Suvadiva in the Maldives. Atoll itself is a coral island or a collection of coral reefs are perfectly circular shaped like a ring or almost circular that surrounds the lagoon in it. Visiting TN Takabonerate must report first at the National Park Takabonerate in Fortress City. The cost is very cheap restribusipun about 2,500 rupiah for domestic tourists and 20,000 rupiah for foreign tourists. From Fortress City, to Takabonerate can be through Pattumbukan Port which is 2 hours from Benteng. A small wooden boat trip will be for 5-6 hours. Long enough journey to cross the loose seas. One island that can be an option to start a trip in Takabonerate is Tinabo Island, this is because there is a resort for the choice of stay. It's just worth noting, as a small island, electricity in Tinabo only operate from 6 pm to 12 pm only. So what can be enjoyed in this Tanabonerate area? In addition to the panorama of white sand, the blue of the ocean and the beauty of the Atol, here also there are other treasures. 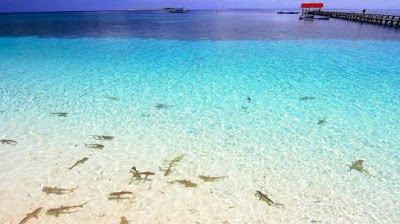 On the shore of Tinabo Island, still often found a baby shark that is free to play. No need to fear (but still must be vigilant and wise), because baby baby shark is somewhat benign not even interested in closer to humans. For you snorkeling and diving lovers, the Takabonerate area is also a paradise. Undoubtedly, coral reefs and other marine fauna are very diverse here. Even in one spot diving named Taka Lamungan, there is a unique phenomenon of 'fish well'. Yes, at a depth of about 3 meters there are holes in which hundreds or even thousands of fish gathered. Can be said as a true treasure, Gong Nekara found on Selayar Island is a proof that Selayar's past is very valuable. Gong Nekara itself is a gong of bronze made in Dong Son culture, North Vietnam. The special Gong Nekara is that it is believed by the researchers as one of the best examples of metalworking culture. In its time, the gong functions produced in 600 BC or the bronze age are intended for religious ceremonies, social status symbols and cultural artwork, as well as warning and warning signs. Gong Nekara located on Selayar Island, was discovered in 1686 by a resident accidentally. Its existence is now very guarded because there are only two gong nekara in the world that is in Selayar and in Tiongkok. Not only for that reason, Gong Nekara's own body part is very valuable art, even the sides are decorated with perhiatan quality manikam and some parts of the arcanya was stolen. The location of Gong Nekara is located in Mantalalang, Bontobangun hamlet, only about 4 km from Fortress City or precisely near the head office. To be able to see it, visitors must first permit from the guard who is descended from Selayar kings or can be said traditional elders. Visiting and greeting local people at tourist sites became one of the interesting activities. We can be more familiar with the area because it will know more closely all aspects that exist. Included with community life on Selayar Island. This island itself is famous unique because the four main tribes in South Sulawesi is on this island but it makes its own cultural values that make it unique. And when discussing the local population, the island can not be separated from the name Sayar Bitombang, the oldest village that is there. Bitombang is only about 7 km from Fortress City. In addition to being the oldest village in Selayar, the uniqueness that can be seen so real Bitombang interesting as a tourist destination is the architecture of houses that have a towering pole, some even reach 15 meters (generally the back side of the house that has a high pole). The condition of land contour that is not flat because it is on the hillside, became one of the reasons why these high poles are made. 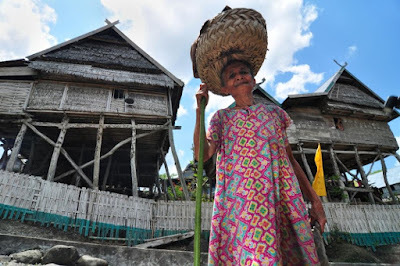 This is a proof of how wise the local ancestors where the construction of the house though does not mean changing the physical condition of nature so chosen how to sustain the house with a high wooden pole with different wood height different contours. As the oldest village, of course, the existing unique houses are also old age. All of them are over 100 years old, some even have reached the age of 200 years. With such architectural conditions of the picture, in fact the houses are still standing strong. Not only houses that can survive old age, uniqueness also exist in its own inhabitants. Many of these villagers have been over 90 years old, some even more than 100. This is believed to be related to the magical things inherent in the village of Bitombang since time immemorial. The next real treasure is a giant anchors believed to be a Chinese merchant's inheritance named Gowa Liong Hui in the 17th-18th century who made a cruise and stopped at Selayar precisely in Padang Village. 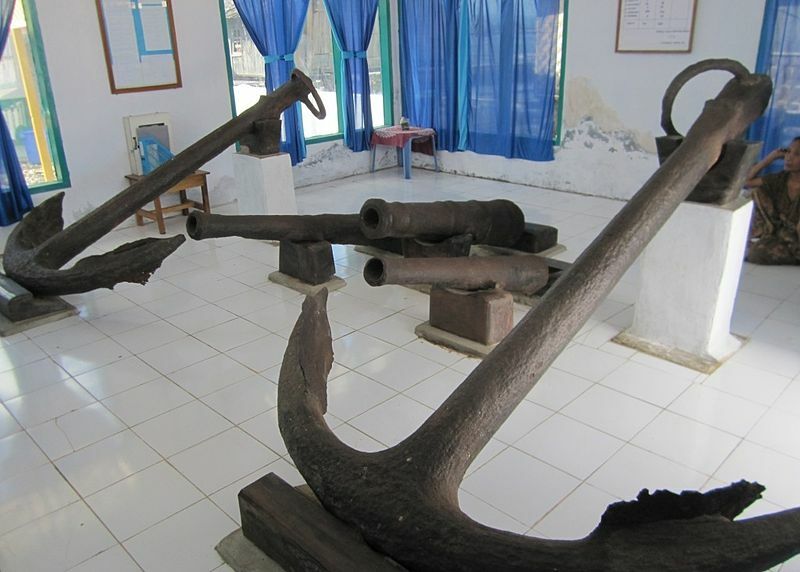 Currently, this Giant Anchor is still deviated in the Hamlet of Padang in a house building. The anchor is large indeed and is believed to be the largest of its time. There are two existing anchors, the first measuring 2.26 meters long and 1.67 meter long arch. While the second anchor measuring 2.29 meters long and 1.17 meters for the length of the arch. Not only the two anchors, there are also 3 ancient cannon believed to belong to the merchant of Gowa Chinese descent named Baba Desan. The three diamonds are also large enough with panjnag respectively 1.17 m, 1.23 meters, and 1.25 meters. Islam has a long history in the Land of Sulawesi. No exception in small islands such as selayar. Proven with historical evidence of the Old Mosque built since the 16th century. Located in Hamlet Gantarang, Bontomaranmu Village, Bontomanai Subdistrict, Selayar Island, or about 12 km from Benteng Town, this mosque is also believed to be the oldest in South Sulawesi and became the forerunner Will spread Islam in Selayar. Not just from its historical value, the Gantarang Mosque is also unique in its construction as it is built on a well covered with a gold tray. Wooden pole used is also believed to have its own properties. 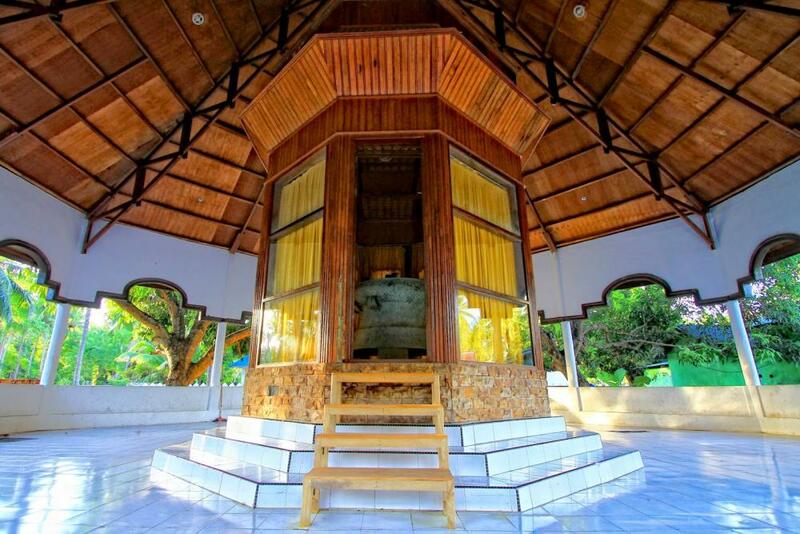 As a relic of history, this mosque is used as a cultural heritage of South Sulawesi which is also developed as a tourist destination Selayar Island.